Most children have the tendency to ask too many questions. Why, what, where, and how to educate them and develop their intellect. 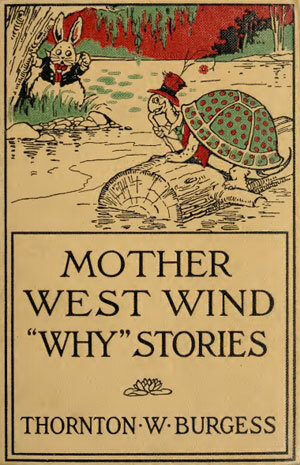 Here is the series of short stories for children, written by Thornton W. Burgess, WHY Stories! The eBook has 16 stories, every story answering a question! Example, Why reddy fox was red? Why paddy, the beaver has a broad tail? Etc. All these 16 stories are based on and surrounded by nature and recommends natural living. 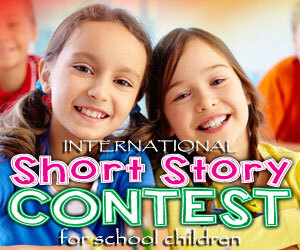 The stories are narrated in a sweet and polite manner, making children happy! Since this book has 16 stories, it makes a good collection of bed time stories for kids. You can develop the reading habit in children by giving these types of books. Kids will love to read it again and again. Each story in the eBook teaches good values and morals in children. All the stories feature a wise Frog as a grandfather, narrating the stories. For example, why bear has no tail is a story that helps children learn to live happily with what Mother Nature has gifted us. Everyone is very unique and special with their own unique traits. The stories have unforgettable characters. Thornton W Burgess is one of the passionate children writers, who based his writings on nature and simple conversations that happen in the daily life. The author has written more than 15000 children stories and about 170 books. It is a wonderful collection of practical and interesting stories for children. It is ideal for the kids aged between 2 to 7 years. You can make the older kids to read them alone. Similar to Mother West Wind Why Stories, a collection of stories themed with ‘Where’, ‘What’, etc were also written by the author. Now, parents don’t need to run and hunt for the bed time stores. There are 16 stories and children would love to hear it at least one more time. Elders can make themselves a great and interesting story teller. This eBook is a must to have collection in children’s books. The grandparents of the current age would have enjoyed these types of stories in their childhood. Now, let us spread the happiness with good values to the current generation children.